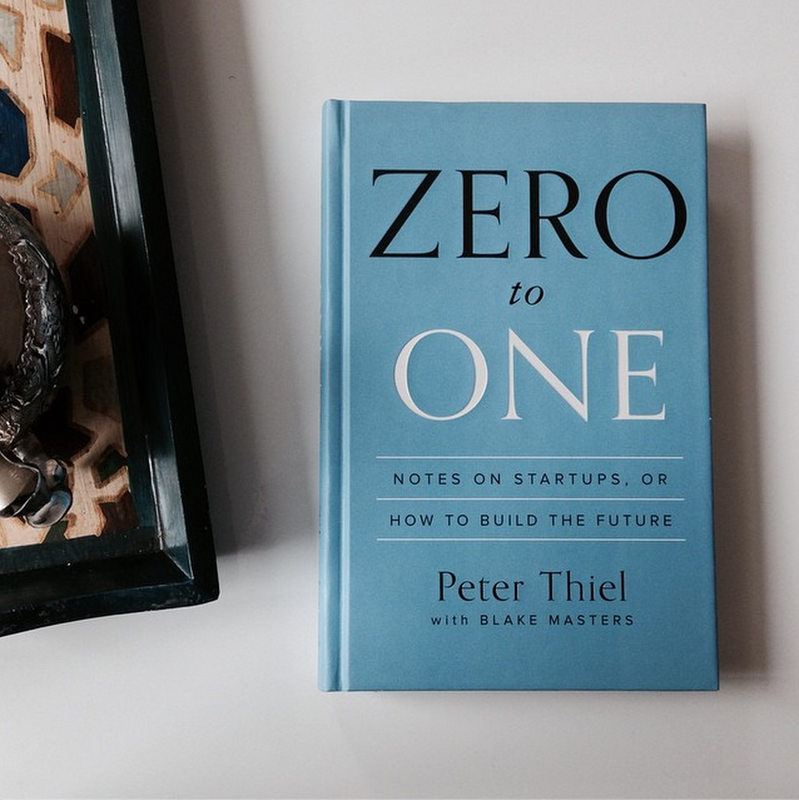 On September 16, Peter Thiel published “Zero to One: Notes on Startups, or How to Build the Future.” It quickly reached the #1 New York Times bestseller spot. No surprise – Thiel co-founded PayPal and Palantir, and was the first outside investor at Facebook. The HBO show “Silicon Valley” even based its “Peter Gregory” character off him. 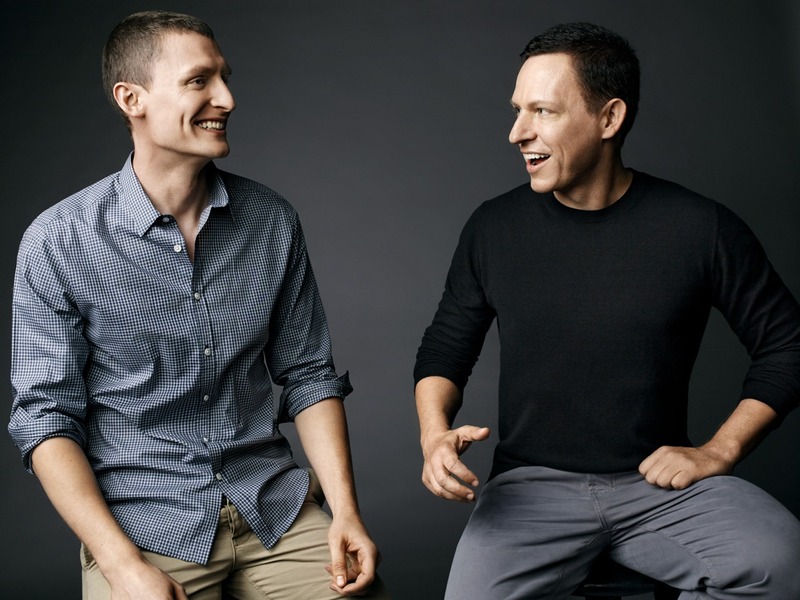 Blake Masters and Peter Thiel. Publishing previously privileged information to a public blog, does that sound familiar? It should; it’s the story of CrossFit.com, too. In Blake’s case, and CrossFit’s, the result was doubly unexpected: millions came to access the free online information, and millions more paid to learn more offline (buying Zero to One and attending CrossFit seminars and affiliates). Giving stuff away for free can make you a lot of money. My friend Tim Dymmel, of CrossFit Palo Alto, told me that Blake’s done CrossFit for years, and generously offered to put us in touch. The result was this interview. RG: When you posted your course notes on Peter Thiel’s course, what were you thinking? Did you have a goal? BM: I wanted to record what was happening so that people outside of Stanford could learn from it too. The course was about how to build the new businesses and new technologies that we’ll need to have a better future. Stanford students will create some of those, but only a small fraction, so it seemed like a waste not to share the notes with the wider world. When your blog reached over a million page views, and Peter found out, what did he first say to you? Was he upset? I emailed Peter to check in after the second or third notes essay was posted. He had already heard about them, and I guess he liked what he saw because actually he encouraged me to keep going. There’s a general lesson here: it’s usually better to ask for forgiveness than permission. It wouldn’t have worked if I had pitched it as an abstract proposal before the class started. RG: What did it take for you both to realize the potential for publishing these ideas in book form? BM: The notes attracted a huge audience, so we knew there was a market for these ideas. We also knew we could make everything a lot better than the blog posts, and that even in 2014, writing a book is a supremely powerful way to start a wider cultural conversation. RG: Your blog’s motto includes “Death is a disease. Cure it. Extinction is approaching. Fight it.” What do you mean by this? BM: As a society, we are far too complacent about death; either we do our best to ignore it, or we treat it as this sad inevitability. Either approach leads to inaction—and that means giving up on life without a fight. It’s better to think of death as a problem to be solved. Skeptics insist that “death is the essence of life” or that living for hundreds of years would create all sorts of fanciful problems, but that’s mostly academic nonsense. Who wouldn’t want to live for 100 healthy years? Or still be CrossFitting at age 130? If we don’t try to get there (and our cultural attitude sets the tone for the research that could make it happen) then we’re all going to die, sooner than we should. The extinction point is similarly contrarian but maybe a little less weird. There simply aren’t enough resources in existence to give everyone alive a Western standard of living using only today’s tools. But the global population is ever-increasing and poorer peoples aren’t content to stay poor. Globalization without new technology is a recipe for conflict, and widespread conflict in this nuclear age can mean extinction. Literally every business or technology or discovery that allows us to do more with less is a small victory in the fight against that kind of threat. RG: When did you first hear about CrossFit? And when/where did you do your first WOD? BM: A friend told me about CrossFit in mid-2007—I watched a few Greg Amundson videos, set out to learn the basic movements, and before long the main site WODs became my primary means of training to make the Stanford Basketball team. Then in January 2011 I started to train under Tim Dymmel at CrossFit Palo Alto. Blake and his dad, 39 minutes into “Murph.” Memorial Day, 2011. RG: Zero to One talks about focusing on areas of exceptional ability, and not trying to be a generalist, but aren’t you somewhat of a generalist? For example: computer science, law degree, now author, start-ups like Judicata, and Box, etc. BM: What we warn against in the book is the unthinking diversification that’s so common today. Young people default to collecting credentials like they’re on autopilot; every esoteric résumé line is a small triumph when your goal is to appear “well-rounded.” Doing something substantively important is a better strategy for actual success, and for most people, that means becoming expert at some particular discipline. Maybe I am somewhat of a generalist, and maybe there’s some tension there. But there are different ways to frame it: in some sense, if your best talent is working with people and getting things done across different disciplines, you are staying focused by staying true to that. In any case, I try to always focus on substance in my own work, not just diversifying for the sake of it. Everything we do should be coordinated and part of a master plan, not random or unconnected. How does CrossFit fit into your personal narrative (both the CrossFit method and the CrossFit community/business model)? BM: We were all given a mind and a body, and I think the best life is one in which we develop each to their highest potential. It’s not even clear that they are separate domains: as an individual person, you’re either excellent, not-quite-there-but-working-on-it, or… not. I’ve always been fascinated with how some of the most brilliant minds in history completely shunned physical fitness. Forget questions of longevity and quality of life: how much better could they have been, even on their own terms, if they had experienced and come to enjoy the discipline and self-knowledge that an all-out Fran or 2k row tends to cultivate? Both as a business and as a community, CrossFit shines because it’s real. It’s not an abstract innovation—it’s about millions of people bettering themselves by working hard. In Silicon Valley today, you’ll see a lot of health-related startups that are trying to “nudge” people to change certain micro-habits. To this class of entrepreneurs, “social fitness” might mean persuading users to engage with some new feature on a smartphone app. But there’s no substitute for getting out into the real world and doing real work with real people. Technology means doing more with less—a phrase that will resonate with every CrossFitter. Sometimes the best technology looks low-tech.